The thermal baths in Monetier-les-Bains should be at the top of everyone’s list. It is a great apres-ski activity too for the skiers and boarders. Open daily, only children under 4 are excluded. You can also book spa treatments as well as enjoy the Roman-styled baths. Get on the regular ski bus, and take a trip into the old walled citadel of Briancon. Now a UNESCO World Heritage site, on a sunny day you can while away a couple of hours, have a real Italian coffee or ice-cream, or even have a mediaeval style lunch in one of the restaurants. Take a look in the collegiate church for some good examples of religious icons. Join the skiers up the mountain for lunch. There is pedestrian lift access to several of the mountain restaurants. The best choice is probably at Serre Ratier, which is served by the new panoramic gondola from Chantemerle, The Chapka and Flocon restaurants in the Monetier sector can be reached on the Bachas chairlift. Chill out on the terrace with your own special view of the mountains at Chalet Chamoissiere and watch the skiers returning from their day on the mountains with a glass of wine in hand. 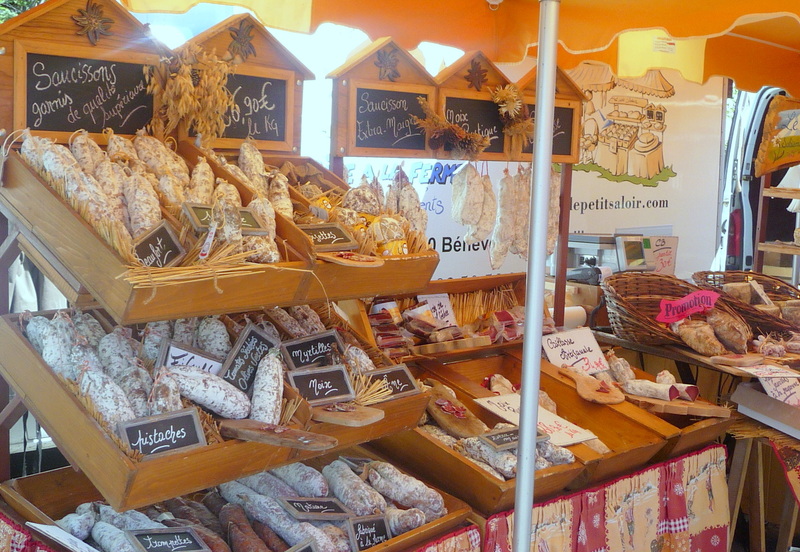 Don’t forget a visit to the local markets, best of all is in the bottom part of Briancon near the Parc de la Schappe on a Wednesday. Monetier’s market day is Friday, perfect for some souvenir shopping. Enjoy the 250kms of pistes, whatever your standard. We’re just a short walk from the lifts and nursery slopes. Try out the high speed 6 man Vallons chairlft on the Cucumelle or the new panoramic gondola in Chantemerle, opening for next winter. Book some ski lessons with Gavin Crosby of New Generation ski school. 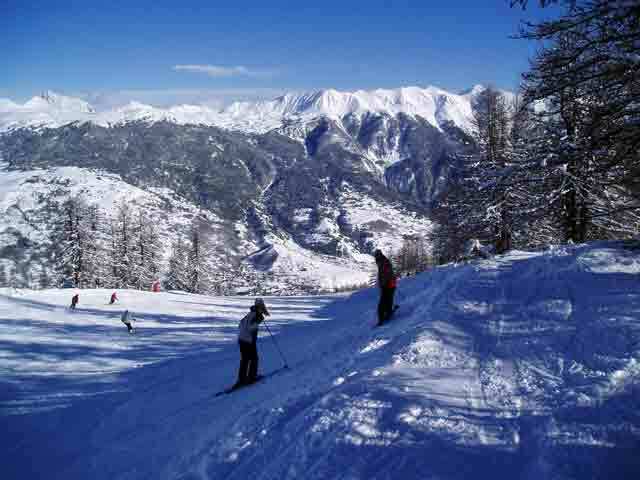 Bring the family, Serre Chevalier is ideal for all ages, and holds the ‘Famille Plus’ label. Our apartment is just 200m from the slopes, and there is childcare available. Book a guide for an off-piste trip to La Grave, just a short drive away, or explore the many off-piste opportunities in the Serre Chevalier Valley. 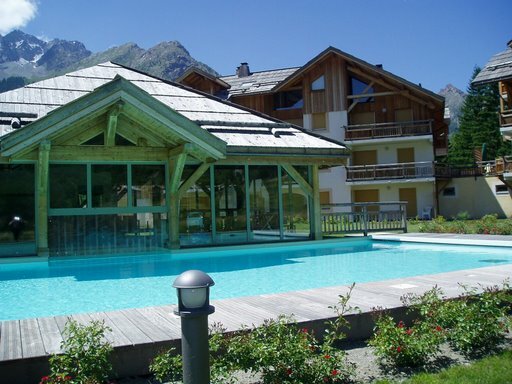 Stay in Chalet Chamoissiere, and enjoy our heated pool, sauna and hammam . Your dog will love it too, our pet-friendly accommodation is ideal. Enjoy some of the nicest restaurants in the Alps. And finally, if you don’t already ski, contact us for details of our beginners packages.